What fun Kitty meeting a blogging friend in a tearoom! You macaroon looks oh so tempting dipped in chocolate, I would have eaten the whole thing too. :) Your ornament and platter are both so festive for the season! 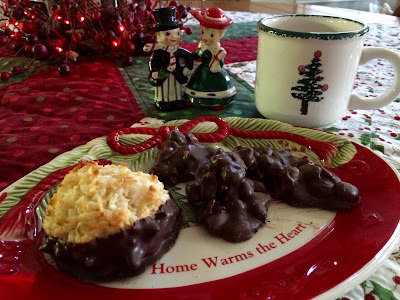 I know your kozy kitchen will provide many wonderful Christmas treats to serve on your platter. Good Morning Kitty, I can't tell you enough how much we enjoyed our lunch with you and meeting. Two hours just flew by didn't it? It was a grand day and I know God brought us all together by the planning of sweet Stephanie and the teacup exchange. My hubby so enjoyed himself as you know, especially if dessert is involved like he had. Pumpkin pie AND a macaroon!!! !LOL~~~Thanks again for the wonderful gifts you blessed me with. The bread, jam and tea are so delicious and we enjoyed them so much. Meeting you was a highlight for the holiday and I look forward to getting together again and hopefully Pat will be better to join in too. I will have to introduce you to another sweet blogger Leslie, that I met right here in my town too. You will love her! Lovely post Kitty and thank you for your kind words. I am so glad Stephanie brought us together. Wishing you a wonderful week as we approach Christmas. Thank you Kitty for sharing your special day of meeting with a fellow blogger. 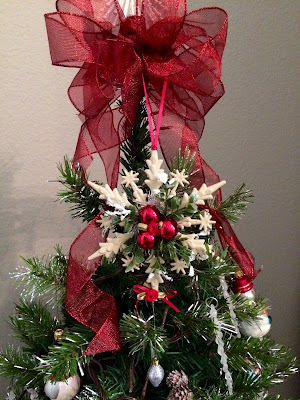 I follow both your blog as well as Southern Day Dreams. What a wonderful visit for all of you. Such joy, my friend. I was richly blessed to read this post. And my, what lovely delights from Celeste - she has such a big heart, as do you! I love your little tea cup coaster, my friend. And I know the bread and jam was extra tasty and sweet. Enjoy your day, dear friend. I will be busy babysitting my cousin's 10-month-old little girl :) Love to you! Kindred spirits! What a lovely place to meet and the gift exchange is very thoughtful. I love the photo of the three of you, too. Hope that you will be able to get together again one day! This is a beautiful post. 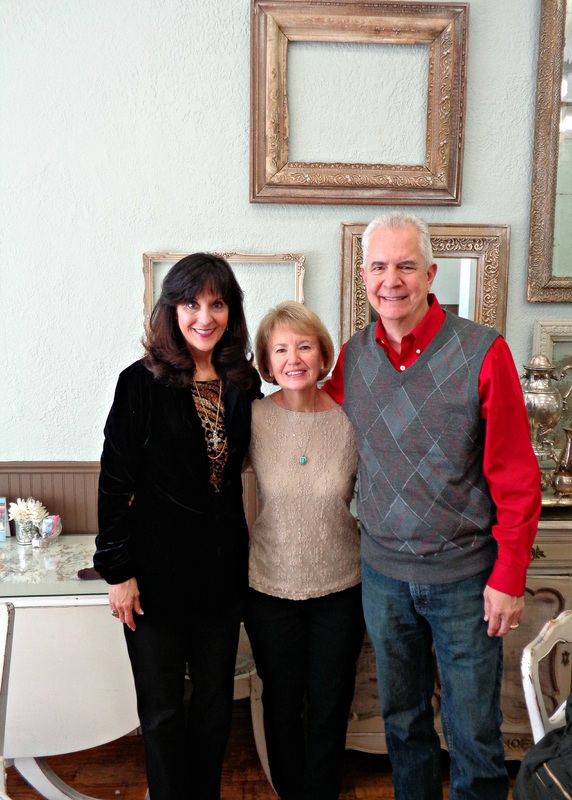 Heart warming that you were able to meet and visit with Celeste and her husband. Merry Christmas. Kitty, what a lovely outing for you all! Celeste is indeed a dear soul. I had won a giveaway of hers several years ago so I am aware of how beautiful her work is. Sounds like you had a splendid time together. That macaroon looks delectable as well as the candies. The platter and ornament are lovely too. Thanks so much for sharing this with us. Have a lovely week, sweet friend. We do make some wonderful friends through blogging and when we are able to meet in person it's such a blessing. 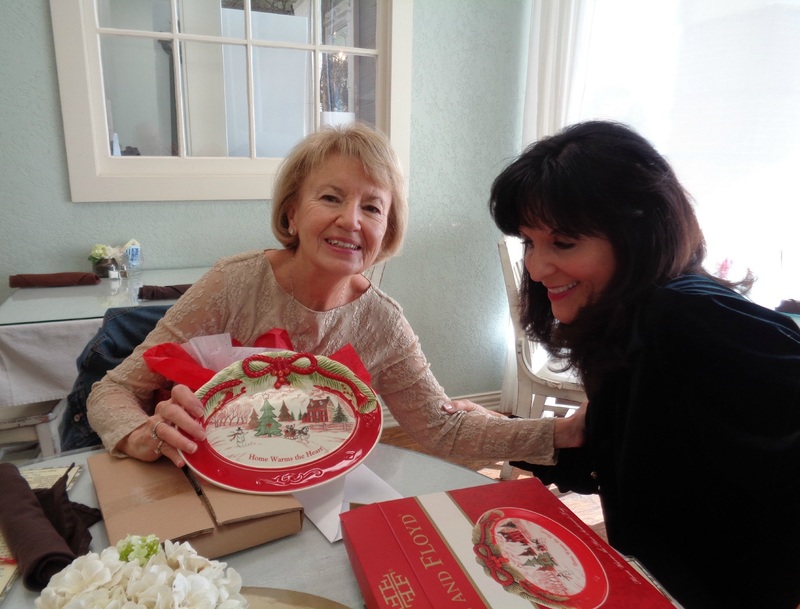 I am well aware of Celeste's beautiful handiwork and your new ornament is very nice, as is the gifted plate. You have had an influence on many of the new recipes I try and today Kitty our house was scented with cinnamon as I baked snickerdoodle loaves you shared last year. Delicious, and I've already gifted one of the small loaves to our youngest daughter. I'm so glad that you and Celeste were able to meet up. The gifts that you exchanged are lovely. I'm sure that this is the first of many blogger meet-ups. P.S. That is the largest macaroon that I've ever seen. YUM! How lovely to meet a blogging friend in person! The platter is beautiful! How exciting to meet with Celestina and her husband. You all looked like you had a great time. Blog friends are the best. How wonderful to meet other nbloggers!!! Several years ago I met Yvonne from Stone Gable when we realized we lived pretty close to each other! Since then I have met 2 other bloggers too. The platter is gorgeous and I know you will make some wonderful things to have on it! 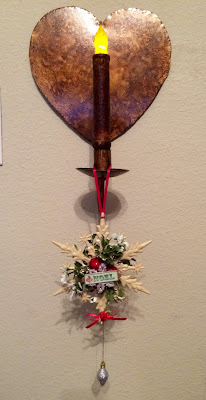 I just read about your meeting over at Celestina's blog! How wonderful! It looks like quite a special get together and the gifts that you exchanged were so sweet! I loved reading about your visit!!! Celestina was my second tea cup recipient in the swap! You both are such lovely gals!!!! I hope to meet you both some day!!!! That looks like such a special and memorable outing! How wonderful to meet in person a blogging friend. I think it's so nice that Stephanie chose you two as teacup exchange partners. All of your gifts were so thoughtful. Thanks so much for sharing! This sounds like fun! I have met a few of my blogging friends, too, and it has been a great experience. You both look really pretty! Happy Christmas! I just love when bloggers meet up. I have yet to experience it. I have suggested one or two times but nothing ever came together. If it is meant to be, it will be. My motto. And her husband is a real gentlman for treating you to lunch. Oh, Kitty, what a wonderful afternoon you had! Both of you are such sweet and beautiful women, I know you had a great time getting to know each other. Such lovely gifts you got for each other. Makes me so happy to hear about your time together. Oh Kitty, just beautiful! I certainly enjoyed both posts the two of your dear ladies shared with us. What a blessing it must have been for the two of you having the opportunity to meet, share gifts and have sweet fellowship one with another. Celestina's husband sounds like quite the gentleman. I'm quite sure Celestina will enjoy the delicious jam of yours, Kitty. That has got to be the best jam I've ever had! Thank you for sharing your day with us. Oh...dearest Kitty! 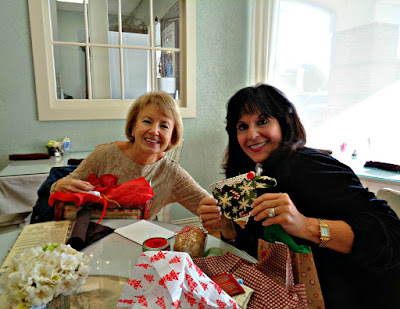 I am simply thrilled that you were able to meet Celestina...she is so lovely and sweet, and writes a beautiful blog...I truly enjoyed your pictures...I felt like I was right there with you all, enjoying chatting and tea! My! What a gorgeous tea room...and the macaroon did look scrumptious! And how darling are your gifts for Celestina...I am sure you will treasure them forver and oh! I know she will enjoy your homemade jam and lovely loaf od fresh bread! Blog friends are so very dear, and I do hope that someday I will meet some of the precious ladies I have come to know and cherish online! Sending you much love today...and big hugs! How wonderful for all of you. The Christmas gift ornament is really delightful - lucky you :) as is the little sweets plate. Have a lovely week. Hi Kitty! Oh, what a thrill to meet up with a blogger friend, but to meet our sweet Celeste! I aw you on her blog yesterday and you two look so cute. And, how nice of her hubby to come along and that you two had so much in common. The gifts you two exchanged look wonderful! I've only been able to meet two blog friends in my entire blogging life and it's a long one! Thanks for popping in to see me and your prayers for our little Carter. How I appreciate you. I so enjoyed your post of this blog friendship and meeting time. What great fun that was. I love the platter you received and now the memories that are tied to it! I know she was thrilled with what you gave her as well. May long live the friendships! Thanks for sharing! How fun! So glad I got to see your post between storms/power outages. How special you could meet. Made me smile! Thanks so much for linking to Tuesday Cuppa Tea! It must feel wonderful to connect with a kindred spirit you've communicated with over time! It looks like you had such fun! Kitty, what fun! I must tell you it warms my heart to see the wonderful way you enjoy life and take such pleasure in things and in memories of your beloved. You are an inspiration. This looks like such a fun day, Kitty! I would love to meet some of my blogging friends; it just never seems to happen here. Those are wonderful and thoughtful gifts Celeste gave you; you're blessed to have such nice friends. :) I'm glad the two of you got to meet in person and hopefully you can get together again sometime. Blessings to you Kitty, and have a great week! 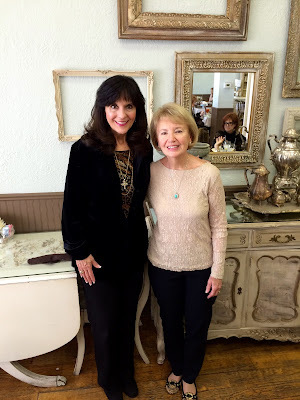 How wonderful meeting a blogging friend! I joined in with the teacup exchange also but unfortunately did not hear back from mine! I was lucky enough to meet a blogger friend and we still talk just about daily! 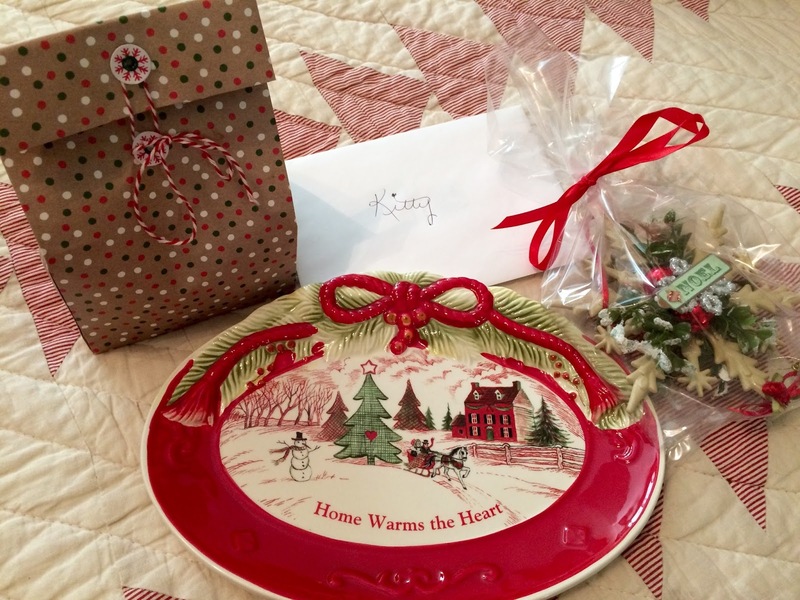 Your ornament and platter are both so festive for the season! I smiled at what a gentleman her husband is. How fun! Sounds like you had such a great time! Oh, Kitty how WONDERFUL! You all warmed my heart right up = talk about as good as it gets, huh? AND on top of everything else Larry is an OSU fan? I love them already. Heh. Fantastic! I hope to meet you and Diane someday! I am glad you got meet a fellow blogger.